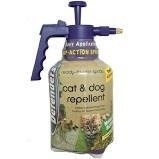 Cat and Dog Repellent and Deterrent Spray will repel, deter, stop and get rid of nuisance cats and dogs. 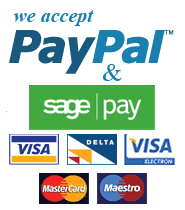 For use outdoors as an effective product to use on garden paths, walls or structures. Use this spray also in areas where a cat or dog has been peeing to stop and prevent further urinating or fouling. Covers up to 450 square metres. Our Cat and Dog Repellent Spray is a harmless smell deterrent to make cats and dogs leave your property alone!